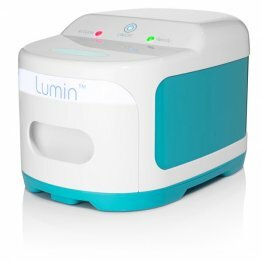 Siestamed Technologies presents an all-in-one solution for your CPAP accessory cleaning needs: introducing the Hurricane CPAP Equipment Dryer Starter Kit. 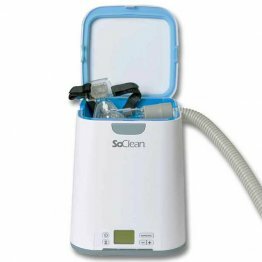 Each starter kit includes a Hurricane CPAP Equipment Dryer unit, a RespiKit cleaning solution set, and a CPAP tube brush, all in one neat package. 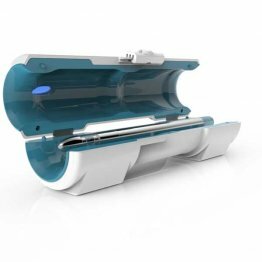 The Hurricane CPAP Equipment Dryer is a home-edition, warm static air, CPAP and sleeping supply dryer that offers the same features found in Siestamed’s complete line of dryers: three timer settings, automatic shut-off and temperature control, ETL certification, and one-year warranty. 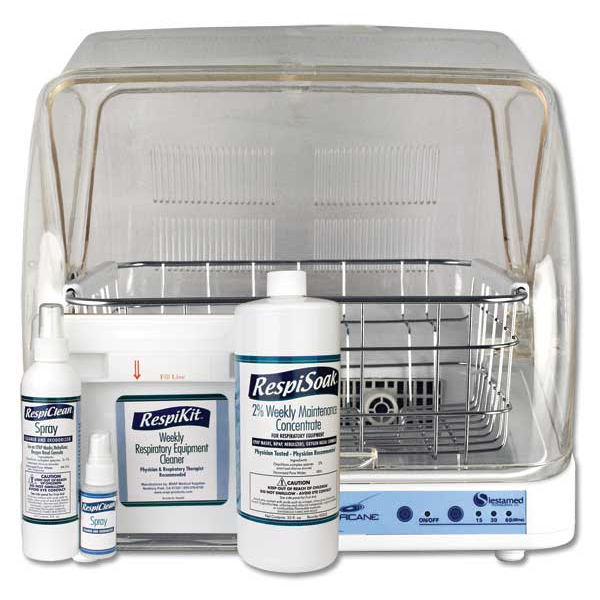 Also included are a Respikit cleaning system -- an 8- oz. bottle and travel size bottle of RespiClean, a 16-oz. bottle of RespiSoak, a measuring cup, instruction guide, and a soaking container -- and a CPAP tube brush to help ensure complete cleaning of your CPAP tubing. 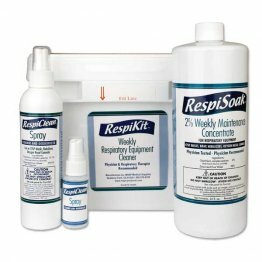 All of the components of your Starter Kit work together to effectively eliminate dirt, pathogens and bacteria that may contaminate your CPAP equipment during daily use. The RespiKit cleaning solution system allows you to quickly and safely eliminate dust and germs from your larger CPAP accessories. 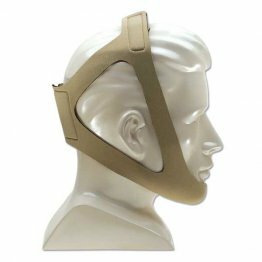 This includes masks, hoses, hose covers, headgear, humidifier chambers, respiratory belts, EEG nets, and washable CPAP/Bi-level machine filters, among others. The CPAP tube brush eliminates dirt and other particles from the insides of your tubing. Finally, the CPAP Hurricane air dryer dries newly washed items, ready for reuse or temporary storage. 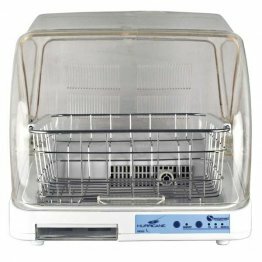 Once cleaned and dried, you may also use the CPAP air dryer as a storage cabinet. 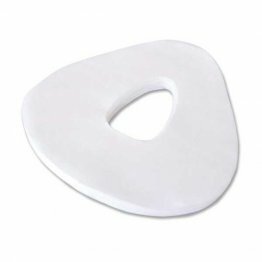 Its easy-roll lid provides a durable cover that keeps your accessories from exposure to the open air. With all of its features, the Hurricane CPAP Equipment Dryer Starter Kit truly makes life easier for CPAP users!